I think we’d all agree that positive user experience and ease of use are central to every SaaS provider’s mission. As someone who’s spent the last 15 years involved with cloud services — either marketing them, providing services to their creators, or managing the move from on-premise to cloud all those years ago, it’s a concept that I’m very comfortable with. 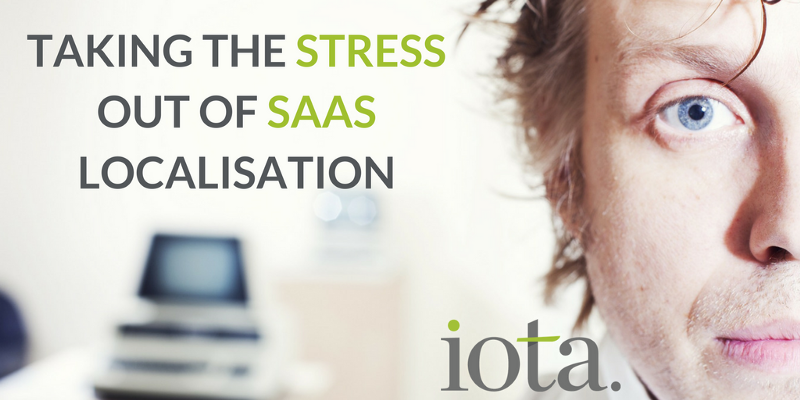 In the localisation space, we ebb and flow with the tides of our clients’ release schedules. It’s the nature of what we do. The rise of agile working and iterative updates has only amplified this. It’s pretty much ended the nightmares we all associate with annual release schedules, and the anxiety and stress they used to bring. However, this change in the development process and the nature of a successful SaaS business brings with it some challenges. Shorter timescales, last minute changes, new technologies, and geographically dispersed teams are the norm when you’re working in this space. It shouldn’t be a problem. Stuff happens. But the level of flexibility needed is such that some organisations seem reluctant or unable to deliver in this environment. I still hear of large localisation and translation providers charging punitive rates and penalties for changes mid-project. Ramping up pricing, and excessively ‘padding’ future projects as a result. Worse still, I’ve heard of releases being delayed for no other reason than the time it takes to penetrate the layers of bureaucracy in their provider’s organisation. Maybe I shouldn’t complain. After all, we benefit from this poor practise. Many of our clients come to us after a year or two of dealing with this kind of treatment from other providers. It’s a shame it takes that long though. Especially when a year or two is a critical period for an ambitious SaaS business where rapid growth is key to success. Some people will always make the default choice and find it’s not right for them before considering an alternative. That’s fine — that’s human nature. The key is realising it’s not working before it’s too late and doing something about it. How will you know? That’s an article in itself — but you’ll know. During the localisation process you might simply wish you were working with a more responsive team. You might find that every challenge you present to your supplier is bounced back without a suitable solution. You may find that you’re compromising in areas that really matter to you, simply to keep your provider on-side and release dates on-track. That’s not how it should be. If it is, it’s time to do something about it. See if our approach chimes with yours, and if it does — let’s schedule a call.